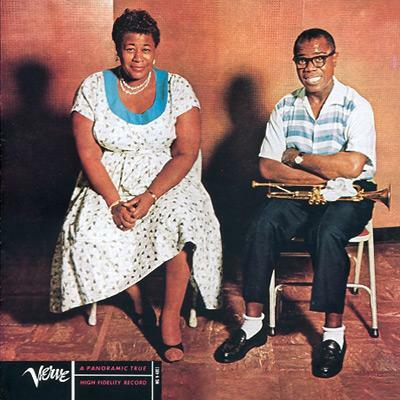 Sometimes you hear a CD, things come up, you store it away and forget about it, until something compels you to take it out of the closet, give it a spin, and you kick yourself for your negligence, you realize, suddenly, belatedly, that this is a really special album. 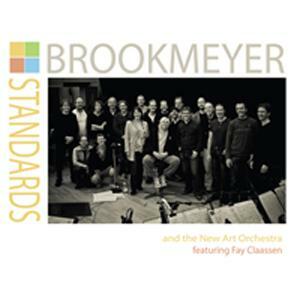 That's my story with Bob Brookmeyer's Standards (on the ArtistShare label), a pretty magnificent send-off from one of the most elegantly inventive big-band composers in jazz, released in 2011, shortly before he died at the age of 81. 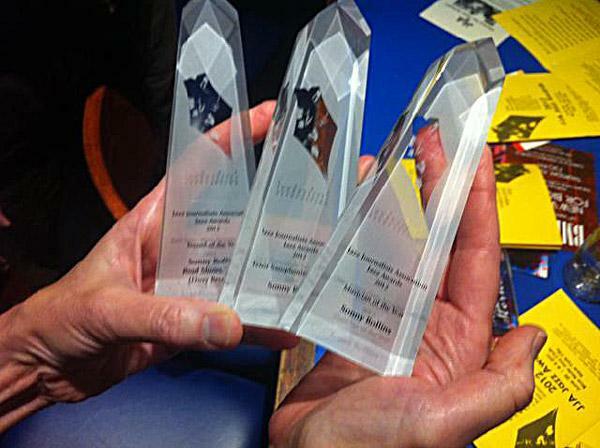 The Jazz Journalists' Association held its annual bash at the Blue Note jazz club in New York City Wednesday afternoon: crowded, boisterous, and, thankfully, air conditioned (it was 97 degrees out on the sidewalk). 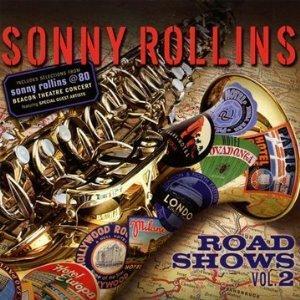 The big winnerno surprisewas Sonny Rollins, who nabbed Best Musician of the Year, Best Tenor Saxophonist of the Year, and (for Road Shows, Vol. 2) Best Album of the Year. I voted for Rollins in all three categories as wella rare instance when I've been at one with the consensus on the top prizes. 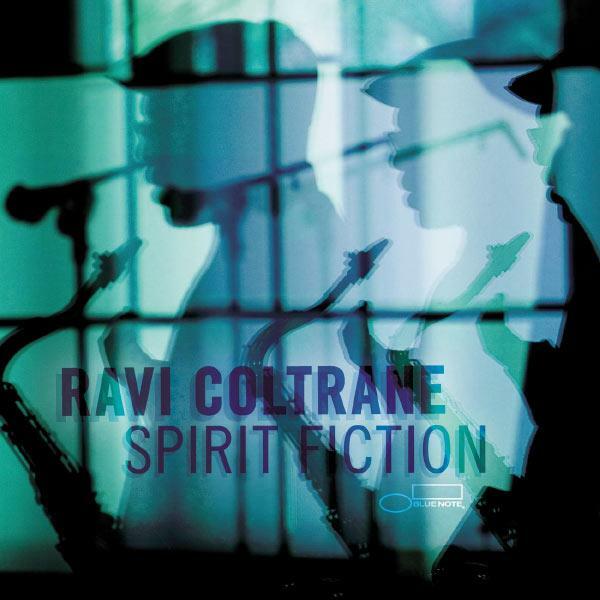 It’s risky, to say the least, for John Coltrane’s son to take up the tenor and soprano saxophones as a profession, yet that’s what Ravi Coltrane has been doing for 25 years, 15 of them as a leader, and his latest album, Spirit Fiction (his first on the Blue Note label), is his triumph. Three great new offerings from Music Matters Jazz, the house that reissues Blue Note classics on gatefold-covered, double-disc vinyl 45rpm LPs: Wayne Shorter's Speak No Evil, Herbie Hancock's Empyrean Isles, and Grant Green's Street of Dreams. All were recorded in 1964: the first two are among the best titles in Blue Note's catalogs; the third is one of the more purely pleasurable. And now for two soundtrack albums, Chico & Rita and Pina: the first explicitly jazz, the other prancing all around its borders, both completely captivating. I saw the Vijay Iyer trio at Birdland in midtown Manhattan two weeks ago. It was a great show. Most of the songs were from the band's new CD, Accelerando (which I raved about in my March 31 blog post), some were from earlier albums; all were riveting. The trio weaves in and out of patterns with a swinging agility. Iyer plays piano with precision yet gusto; he could have been a master interpreter of Liszt or Ligeti, had he chosen that direction. If you have a chance to hear this group live, take it. But my main purpose here is to correct something I wrote in that earlier post about the album's sonics, namely that "the drums have that digital swish (I'd like to hear the ride cymbal ring and the bass drum boom once in a while)." Well, after watching the group in person, I have to conclude that the drummer, Marcus Gilmore, doesn't like to hear those things very much. He tightens his drum heads more than any drummer I've seen (he re-tightened them several times during the show), to the point where banging them (or the cymbals, which I didn't see him tighten, but he must have before the set) produces almost no decay. He seems to aim for razor-sharp control of his share of the rhythm. In other words, the drum sound you hear on Accelerando, like it or not, comes quite close to the sound of Gilmore live. The real thing swishes forth a bit more air, but the difference isn't huge; if I'd known what he sounds like in person before hearing the disc, I wouldn't have criticized anything. Apologies to the engineer, Chris Allen. 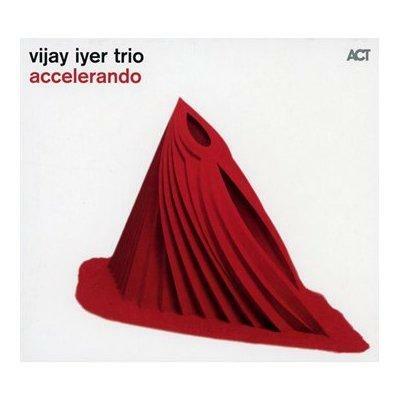 A few weeks ago, I finally got around to the Vijay Iyer trio's new CD, Accelerando (on the ACT label), and I've listened to at least a few tracks of it almost every day since. This is a stunningly good album: monastically intricate, but also a rousing head-shaker, it's even danceable, I give it a 96. Ahmad Jamal’s new CD, Blue Moon (on Harmonia Mundi’s new Jazz Village label), is a wonder. Jamal is 82. He still possesses that spacious lightness of touch that knocked out Miles Davis over a half-century ago. But Jamal has since added to this elegance a syncopated boisterousness, a keenness for dynamics, and an adventurous way with mixing and merging styles. Listen to what he does with the title tune, loping on not only a slow-simmer Latin rhythm but also a bass line (which occasionally gets passed to the piano, then the drums) from the refrain of Coltrane’s “A Love Supreme.” Or the album’s first track, an original called “Autumn Rain,” where Jamal coaxes clusters of chords, then a sprightly melody, over drummer Herlin Riley’s raucous backbeat. It's a two-disc set, taken from two weeks of sessions at the Blue Note in Greenwich Village (one of which I raved over in this space at the time, back in May 2010). The gig was hawked as a Bill Evans tribute (the title is a spin on Evans' 1959 album Explorations), but that told only the half of it. . . 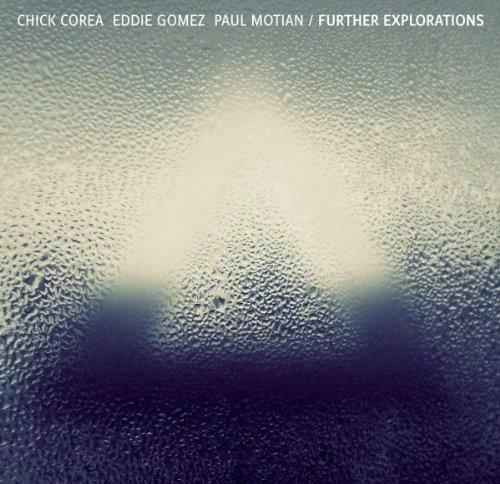 I veer away from ruminating on war and peace in my Slate column today, to run down my list of Best 10 Jazz Albums for 2011. My piece over there includes hyperlinks to 30-second sound clips (the maximum that copyright law allows), but here's the list (the more devoted of you readers will notice that I've written in this space about all of them over the past year). Most jazz musicians who try to rock out come off lame. Most rock musicians who dig into jazz sound pathetic. Medeski Martin & Wood have long straddled both camps with authenticity. Or actually "fused" is the better word; in fact, they're among the very few rock-jazzers, another being Miles Davis at the top of that game, who turn "fusion" into a tasty term. 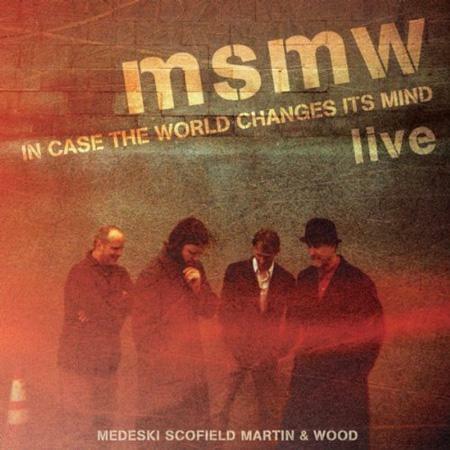 On their latest album, the trio are joined by guitarist John Scofield, not as a sideman (as MMW were on his A Go Go from 1998) but as a fully insinuated member of the band, which is thus called MSMW. The double-disc album's (appealingly insouciant) title is In Case the World Changes Its Mind (on the Indirecto label). It was recorded live at various spots on their 2006 tour. It's the best thing any of them have done, together or apart, in years. 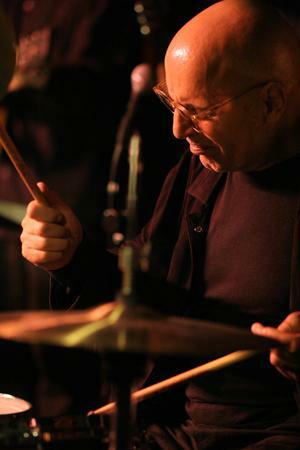 The wondrous drummer Paul Motian died Tuesday morning at the age of 80 (he didn't look much older than 60), and New York, the only city where he ever played for the past decade (and he seemed to be playing somewhere all the time), feels a little emptier. Darcy James Argue has one of the most original big-band sounds in recent years. His 2009 CD, Infernal Machines, may be the most promising jazz debut of the decade. 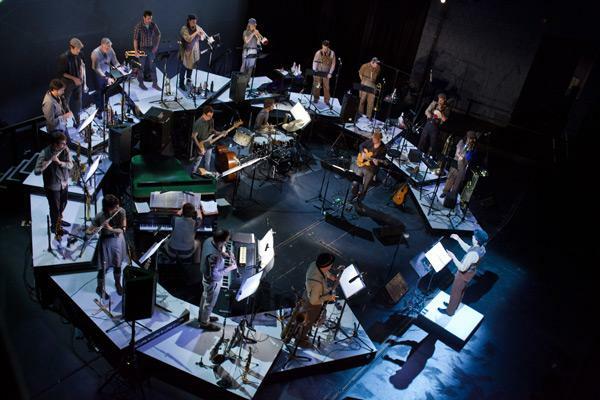 But his world premiere at the Brooklyn Academy of Music this weekan hour-long suite, accompanying a mix of animation and live painting by graphic-novel artist Danijel Zezelj, called Brooklyn Babylonputs the composer and his 18-piece big band, Secret Society, on the verge of a quantum leap. . .